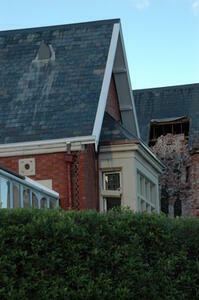 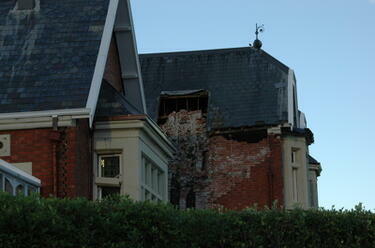 A photograph of the earthquake damage to Rhodes Memorial Home on Dyers Pass Road. 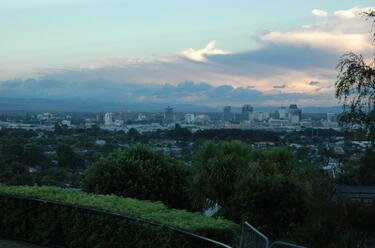 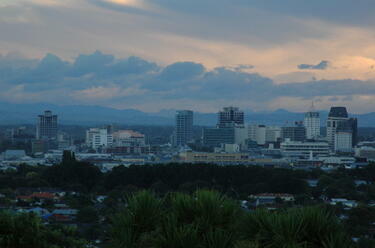 A photograph of the Christchurch central city taken from Rhodes Memorial Home on Dyers Pass Road. 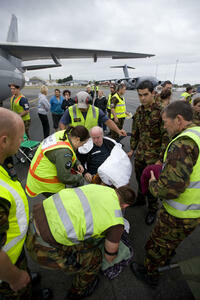 Royal New Zealand Air Force personnel carrying a rest home resident onto a Hercules C-130 for evacuation following the Canterbury Earthquake. 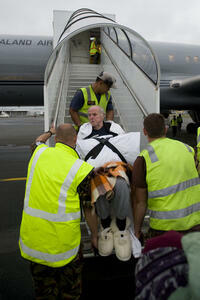 Rest home residents strapped into a Royal New Zealand Air Force Hercules C-130. 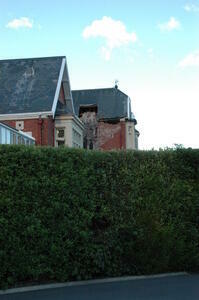 The residents were being evacuated from Christchurch after the 22 February 2011 earthquake. 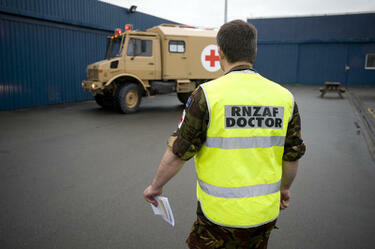 An ambulance parked next to a Boeing 757 at the Christchurch Airport. 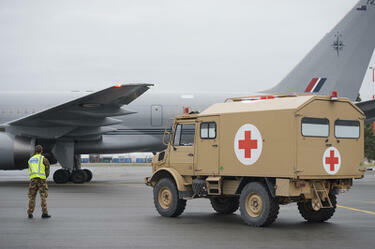 The Boeing is carrying rest home residents affected by the 22 February 2011 earthquake. 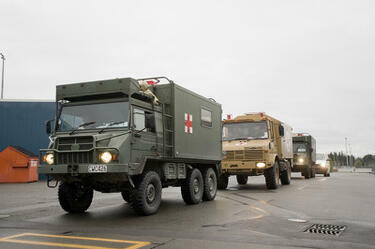 Ambulances departing the airport to pick up Christchurch rest home residents affected by the 22 February 2011 earthquake. 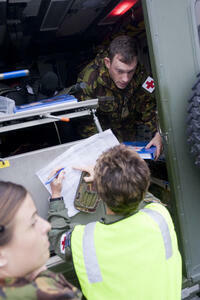 A doctor from the Royal New Zealand Air Force preparing to evacuate Christchurch rest home residents affected by the 22 February 2011 earthquake. 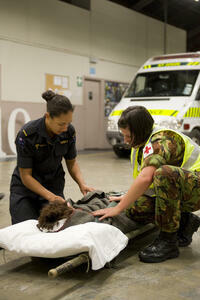 Medics from the New Zealand army preparing to evacuate Christchurch rest home residents affect by the 22 February 2011 earthquake. 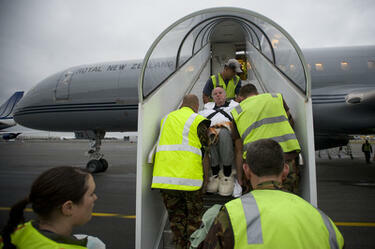 Members of the Royal New Zealand Air Force Air Security team carrying a rest home resident onto an air craft. 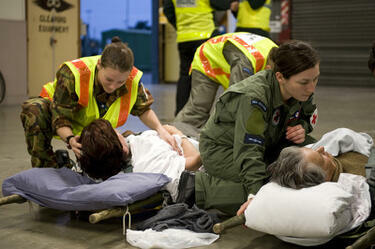 The resident is being evacuated from Christchurch after the 22 February 2011 earthquake. 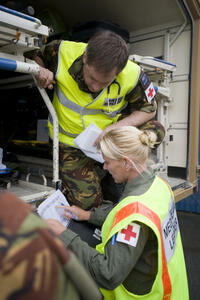 A doctor from the Royal New Zealand Air Force and a Medical Team Leader preparing to evacuate Christchurch rest home residents affected by the 22 February 2011 earthquake. 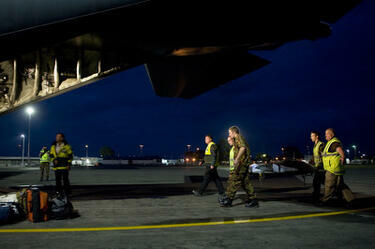 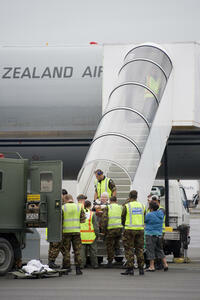 Members of the Royal New Zealand Air Force discuss matters outside a Boeing 757 at the Christchurch Airport. 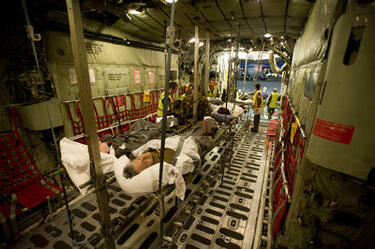 The Boeing is carrying rest home residents affected by the 22 February 2011 earthquake. 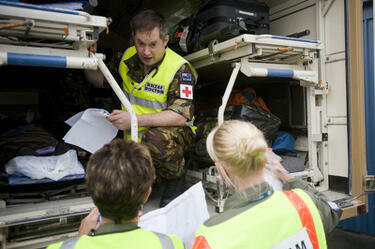 Royal New Zealand Air Force and New Zealand Army personnel check on rest home residents who are being evacuated from Christchurch after the 22 February 2011 earthquake. 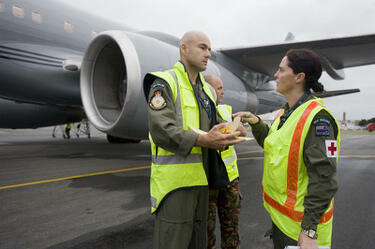 New Zealand Navy and Army personnel check on rest home residents who are being evacuated from Christchurch after the 22 February 2011 earthquake.